Midew, J. (2016, 28 May). “Chief executive Gareth Goodier [Royal Melbourne Hospital] said his 8800 staff were being trained to anonymously report unprofessional behaviour through a new online ‘we care’ system in the hope it will gradually improve the hospital’s culture”, Melbourne Age, p3. The article Royal Melbourne Hospital targets bullying with new Cognitive Institute program, published in the Melbourne Age on 28 May 2016, references Cognitive Institute’s partnership with Royal Melbourne Hospital to combat bullying and unprofessional behaviour by staff. The article discusses Royal Melbourne Hospital’s “ ‘we care’ system [which] encourages staff to anonymously report any behaviour that undermines an open harmonious atmosphere where people can fearlessly remind a colleague to wash their hands or clarify a clinical instruction – important requirements for safe healthcare. It aims to slowly break down the damaging aspects of the hierarchical culture in hospitals”. The Royal Melbourne Hospital (RMH) is working with Cognitive Institute as a Safety and Reliability Partner to work with doctors, nurses and allied health professionals to change behaviours that undermine a culture of safety. Royal Melbourne Hospital’s ‘we care’ references Cognitive Institute’s Promoting Professional Accountability (PPA) Programme, which is one element of the Safety and Reliability Improvement Programme. The PPA Programme uses an evidence-based framework to equip healthcare institutions with tools, training and strategies to professionally deal with behaviours that can affect staff morale and threaten the quality of care and safety for patients. As part of the Safety and Reliability Partnership, the PPA Programme is just one important element of Cognitive Institute’s AlwaysChecking™ approach. 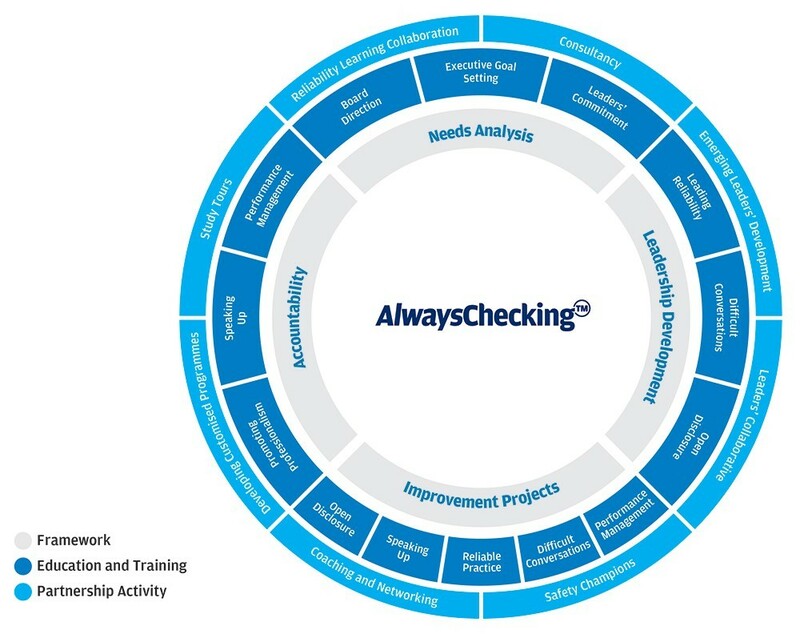 The approach supports a health organisation’s board, executive, leaders, clinicians and workforce to identify, educate and implement a system for safe and reliable care. Cognitive Institute Managing Director Matthew O’Brien explained that the article highlighted the growing recognition of leadership, accountability and culture in reaching the levels of efficiency, reliability and safety in healthcare to which we all aspire. “Our partnership with Royal Melbourne Hospital includes an organisation-wide, three-year culture improvement and joint research project”, Mr O’Brien explained. “While The Age article focussed on addressing bullying, our work with Royal Melbourne Hospital is broader and aims to build a supportive, open and accountable culture that values speaking up, and where repeated unprofessional behaviour cannot survive. These cornerstones to increased reliability are as applicable to an organisation like Royal Melbourne Hospital as they are to the suburban general practice”, he said. For information on the Safety and Reliability Improvement Programme, Speaking Up For Safety Programme or Promoting Professional Accountability Programme, presenters, related workshops and courses contact us today.